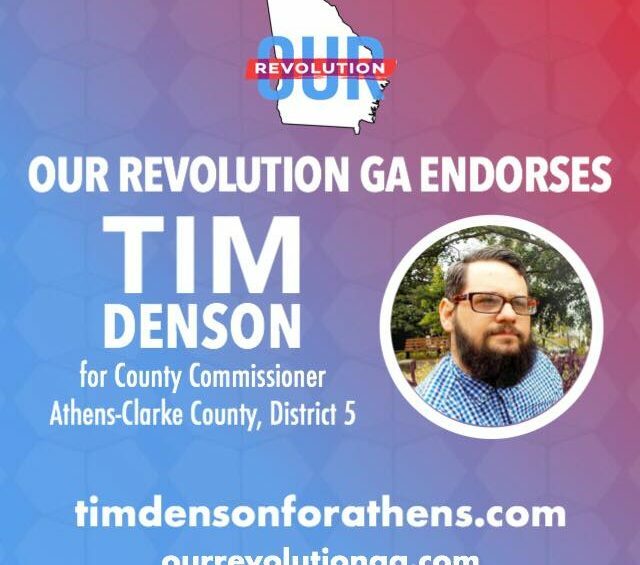 Tim Denson endorsed by Our Revolution Georgia! Tim is so proud to be endorsed by Our Revolution Georgia in his race to become the next County Commissioner for District 5! Tim is honored to be part of such a wonderful slate of progressive Georgians committed to making a Georgia that works for everyone!